On October 16th, 2015, Hublot, the Swiss luxury watchmaker celebrated the grand opening of its boutique in Chengdu, marking another milestone of the brand in the Chinese market. In the meanwhile, the city welcomed “Hublot Loves Art” and embarked on a continuous exploration in the art scene. For this unique occasion, “Hublot Loves Art” held hands with WWF, an independent NGO to work on the panda protection project, contributing its part on the harmonious co-existence of life and nature. This partnership not only represents Hublot’s support for environmental protection but also its self-willed social responsibility. It is also a deepened exploration into “Art of Fusion” and a noble tribute to the 10th anniversary of Big Bang. 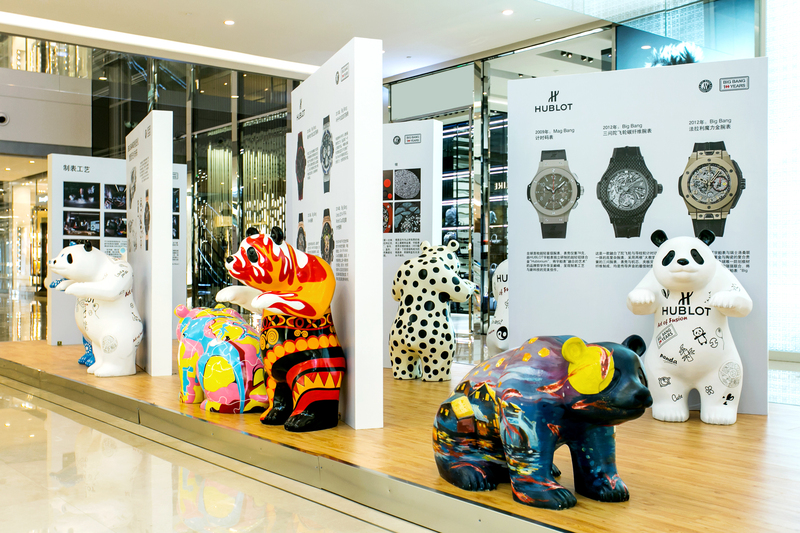 It is noteworthy that Hublot’s Big Bang 10th Anniversary Exhibition is held in collaboration with Heart Panda Public Art Exhibition on the first floor of IFS, creating another brand-new experience when traditional watchmaking and modern art meet. Inspired by the adorable pandas, Hublot created the Big Bang Panda in homage to the 35th Anniversary of WWF China. 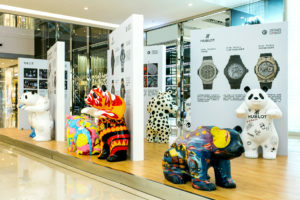 Among all the panda-themed exhibited items, the Big Bang Panda timepiece, inspired by the Big Bang 10th Anniversary and featuring an adorable panda on the dial, lighted up the whole exhibition. The watch pays tribute to Swiss traditional watchmaking and pioneering art, giving the opening of Hublot boutique in IFS Chengdu a lovely touch. When the moment comes, Mr. Ricardo Guadalupe, CEO of Hublot, together with the guests, cut the ribbon and announced the official opening of the new Hublot Boutique in IFS Chengdu. The new store will bring all series of Hublot for the discerning Chengdu customers. They will have a fascinating experience of Hublot’s exquisite watches and the best customer care and service from the brand.